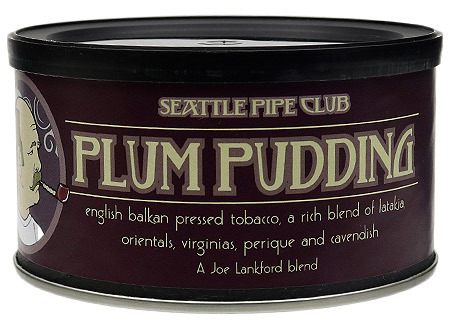 One of Seattle Pipe Club's most popular blends, Plum Pudding is a beautiful English/Balkan blend crafted from Joe Lankford's own recipe. 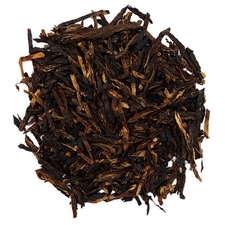 Sweet, smoky, and spicy, it combines Latakia, Orientals, Virginias, Perique, and black Cavendish into an old fashioned crumble cake. 3% off 5+ Tins: $14.35 ea. 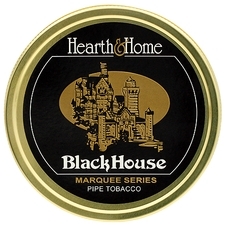 5% off 10+ Tins: $14.05 ea. 6% off 20+ Tins: $13.90 ea. This is one of the few English blends that I could smoke all day! Still, a generous amount of nicotine and a citrusy note to keep one interested throughout the whole smoke. Folks, if you crave a tasty, rich, complex Balkan blend - your search has concluded. Absolutely delicious - the best English this pipe smoker of 19 years has ever smoked. Very good balkan/english with a good flavor. Smokes cool . I wish it was a tad sweeter but its still very good. Truly Magnificent. Enjoyable, all the way through. I really love this tobacco. I feel it’s top quality. I go back and forth between this and Mississippi River. Both are so good and are some of my “Go To” tobaccos. c&d has better Latakia bombs, ten Russians? Great tasting tobacco and no bite at all. Very smooth. I am a latakia lover so I will definately be ordering more of this. Amazing blend!! This is what it's called English. Review of 8oz tin: I love this thick style of cut (I prefer large deep bowls). These large "slabs" are not pressed densely, thus are very easy to rub out. I find this to be the most satisfying Balkan I have tried thus far. So, I don't like English blends, for my taste to bland. When I stumbled upon this because of the reviews I gave it a shot. Well I'm actually very impressed, and I wholeheartedly recommend this outstanding blend! 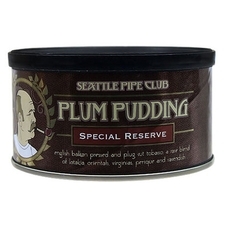 Love love love this blend would 100% recommend to any pipe smoker! What a balanced blend this is. Easy. Mild. Interesting enough to hold your attention. I don’t notice the cavendish so I think in small quantity is must accomplish what an excellent Virginia would have. No nicotine hit makes this especially nice to smoke. This is the best English blend I have tried so far. It has a very complex taste that changes throughout the smoke. I smoke mainly aromatics but this blend has made me want to try more English blends. For me, the bowl starts off tangy, citrusy, and grassy. Midway through mellower, chocolatey, and at the bottom sweet and coffee like. Don't rush this delicious smoke. Good flavor, but pales in comparison to its Special Reserve sibling. The perique gets harsh toward the end of the bowl which overloads my mouth with spice which becomes unpleasant. I love this blend, fresh citrus with a good amount of spice. I’m enjoying it, 4 bowls in now. 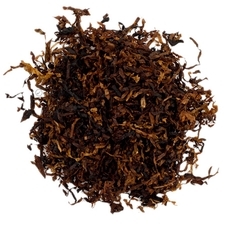 If I had the ability to blend tobaccos this would be my goal. The only thing better is the special reserve version or possibly if this improves with age. We shall see! The tin note is amazing, the flakes are thick and rub out easily. From start to finish a true masterpiece... I highly recommend this to anyone who likes English blends, and Latakia. 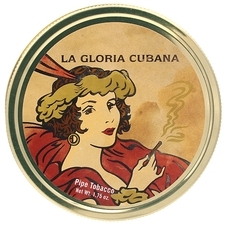 This tobacco packs, lights and smokes very well. It has great depth and flavor, while being slow-burning and smooth. It smells great and is a pleasure to smoke. Thanks! 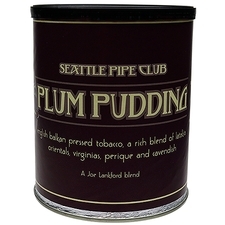 I really like plum pudding, original, and special reserve. My only. Issue is that the beautiful slabs should be in paper, not bouncing around. 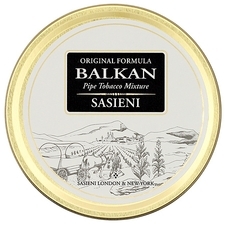 Best Balkan, and i have smoked almost all Balkan blends out there. Joe Lankford Thank You Sir. Very nice covers a lot of ground. 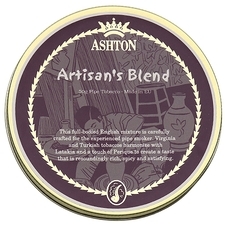 If you like English blends or Balkan blends you will love this. Very complex and very satisfying smoke.